Custom Cardboard Cutouts Foam Board Signs and Posters. All created from your photo or graphic. To order click on the size of your poster or foam core sign on left. Visit the home page for other products. 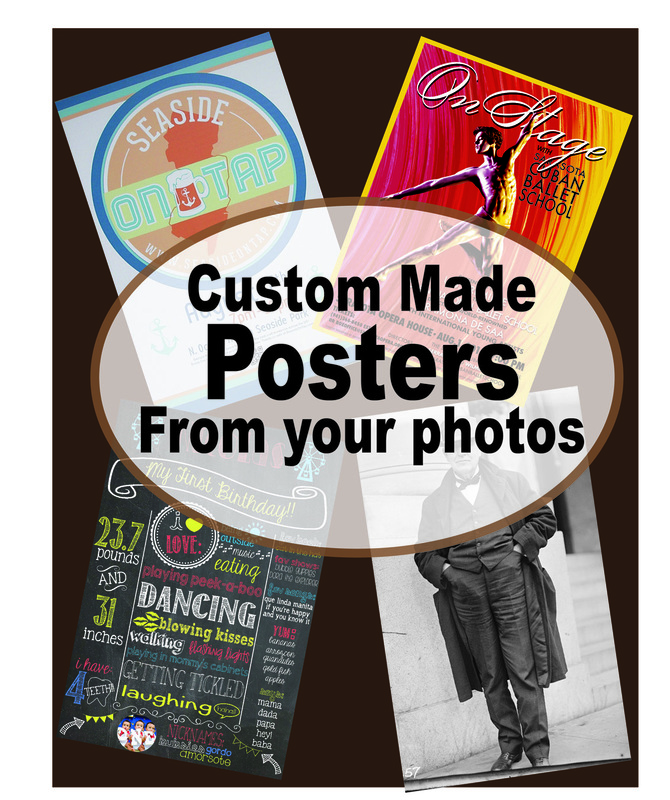 Order custom made posters and foam core signs, all from your original photograph or graphic design or let us create the artwork for you at additional cost. Posters are printed on heavy semi gloss paper, with stunning detail and vivid color. Foam core sign printed on sturdy and smooth foam core material, then shipped to your location. Create prints of your children, sporting activities, favorite pets or wedding photos, signage for business or events all custom made. High resolution image required. No photos downloaded from facebook, these are to small and have been compressed. Full graphic services available. Minimum file size is 1200 pixels, the larger the resolution the better and clearer the finished product. Please check out our custom cardboard cutouts, auto magnets and face on a sticks which make excellent party favors. Email: almostrealstandups@gmail.com or contact us by phone with any questions.